There are many ways to ensure passive income online. One of them is affiliate marketing, a term that has become a buzz among people who dream of getting paid while they sleep. But is it really a feasible way to strike it rich? What is affiliate marketing and how does it work? 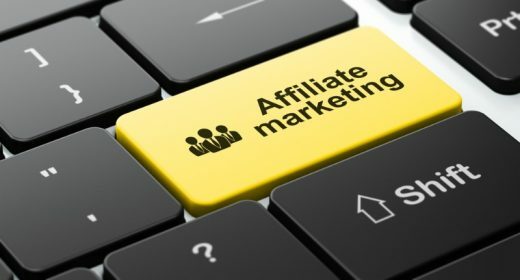 If you run a popular blog or website that generates a lot of traffic and you want to make it profitable, this article will introduce you to the world of affiliate marketing. Merchant: The creator of a product or service (a company/brand/individual) interested in advertising it to a broader audience. 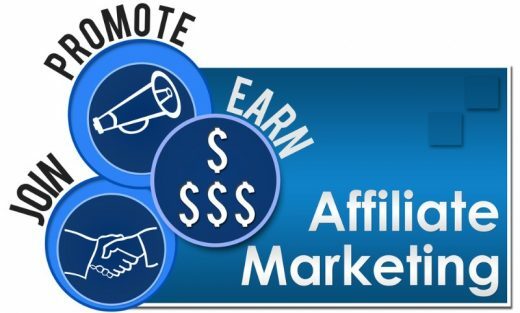 Affiliate: A person or organization that agrees to promote a merchant’s product through their own marketing channels in exchange for a revenue share. Affiliate network (not mandatory): A third-party mediator that regulates the cooperation between the merchant and the affiliate. Consumer: A customer to whom the product is advertised and who buys it from the merchant thanks to the affiliate’s marketing efforts. The merchant gets broader public exposure for the products and services offered, multiplying chances to sell them to more people. In fact, for 38% of businesses, affiliate marketing is the top customer acquisition channel. The affiliate receives the commission (the percentage from the merchant’s revenue earned from every single item sold through the affiliate’s channels). No wonder why 81% of companies worldwide have chosen to adopt affiliate marketing as one of their promotion strategies. At the same time, with the growing demand for quality content, affiliate marketing has proven to be one of the most effective ways for content creators to make money online. As mentioned earlier in this article, affiliate marketing is a strategy based on revenue sharing. But it is also performance-based. This means that, as an affiliate, you will only get paid in case a consumer makes a purchase or at least takes action potentially leading to a purchase, depending on the affiliate program terms. 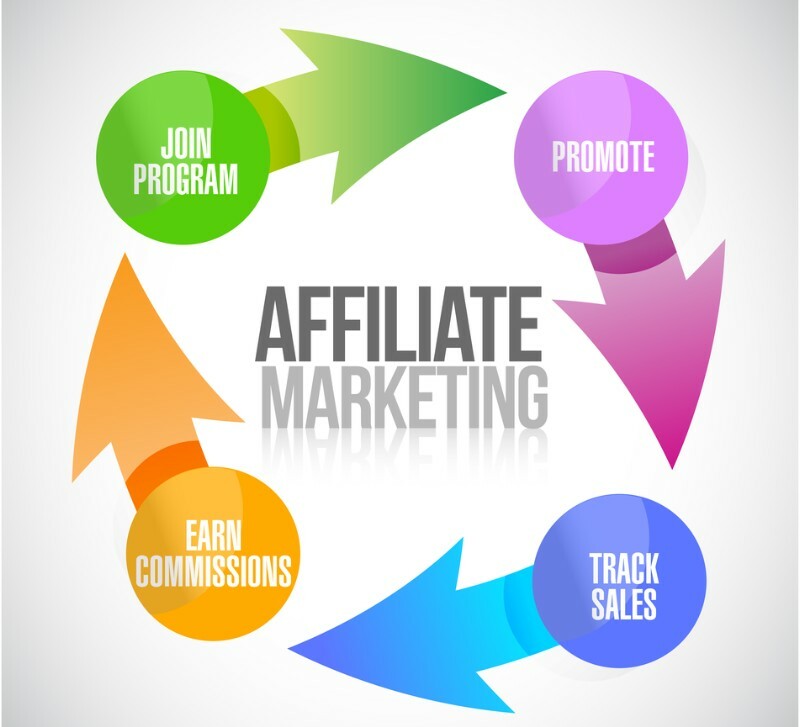 Let’s have a look at how affiliate marketing works using a simple example. You have a successful gardening blog. You’ve created high-quality content for quite a while, and people have repeatedly appreciated your insights. And they return to your blog time after time to learn something new or find answers to their questions. Your reputation and authority as a gardening expert have grown, and people defer to your opinion. Then, a company that manufactures gardening equipment takes notice of your blog and contacts you with a business offer: you try their new grass-mower and recommend it to your extensive audience in one of your blog posts. They provide you with a personal link that would lead your readers straight to the product page where the grass-mower can be bought online. Each time your visitors follow your advice, click on the link, and make a purchase, you get a commission from the sales. If you think of it, everybody wins in this situation: the buyer gets a quality product tested and approved by you as an expert, the merchant receives revenues from your audience, and you get paid for your recommendation. What’s not to like? Is affiliate marketing really that simple? It takes a lot of time and labor to establish a strong online presence, create unique and engaging content, build a loyal audience, and grow a reputation. You can only make decent money from affiliate marketing if your website or blog drives lots of traffic. The more people visit your site, the more of them will likely click on your affiliate link. And unless your traffic is high enough, brands will hardly want to work with you to start with. You will most likely have to search for brands to collaborate with on your own. This is where intermediary networks step in, offering affiliate programs in various industries. You can rely on your personal marketing channels (like blog, YouTube channel, accounts on social media, etc.) only if you generate a crazy amount of traffic. Otherwise, you will need to invest your own money into various forms of advertising, e.g., paid search, PPC ads, promoted posts on social media, etc. This will result in the need to balance your revenues and spendings while affecting your profit margins. This, however, was just a reality check. 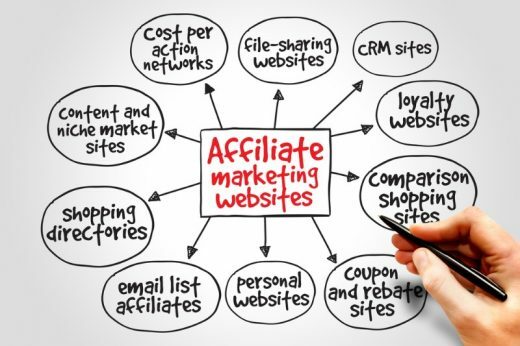 Challenges associated with affiliate marketing do not make it unattainable. The truth is, nearly 9 in 10 publishers say affiliate programs are vital for their marketing and revenue acquisition, accounting for around 20% of their annual income. How do you get paid as an affiliate? 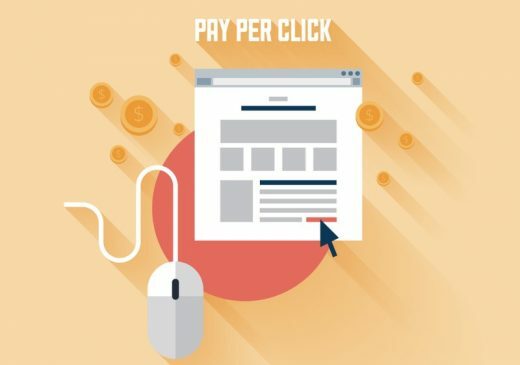 Pay-Per-Click (PPC): A merchant pays for all the clicks your personal affiliate link receives, no matter whether a purchase is made or not. This is the easiest way for an affiliate to make money, but finding such programs is more difficult. Pay-Per-Lead (PPL): You get a commission fee for every lead you manage to generate through your affiliate link. Usually, such links prompt a visitor to submit a registration form, sign up to a newsletter or trial, etc. Customers’ actions are tracked through your personal affiliate link and recorded by the merchant. Depending on your performance and the terms of the affiliate program, the merchant makes a payout once a month/week/etc. In theory, anyone can be an affiliate and receive passive income. But in reality, to become an affiliate, you need a powerful launch pad to get the ball rolling. At least you need a website, blog or social page where you can share your content to attract visitors and grow your follower base. Unless you have an established audience, doing affiliate marketing will be problematic, to say the least. When you have a decent following and the authority it takes to influence other people’s decision-making, you can consider becoming an affiliate. Just make sure that you’ve reached the point where getting commercial doesn’t repel your fans. As soon as you feel that the time is right, you can investigate the available affiliate programs through networks like ClickBank, ShareASale, and the like. Some companies use their own affiliate networks to cooperate with influencers and content creators. One more destination to look out for affiliate opportunities is Amazon Associates which lets you promote any product sold on the platform. After signing up to a program, you will receive a unique link with your personal ID by which the merchant will track customers coming from your marketing channels. Write product reviews because people love them. Compare similar products from different brands to help your followers make the right choice. Recommend a product directly in your blog and social media posts while showcasing its advantages and explaining why you favor it among all others. However, mind that this works only if you have a large credit of trust, and your followers are very loyal to you. Ask your followers to buy through your affiliate link if they find your content useful. In this way, you’re being honest with your fans, admitting that you get a share from revenues while giving them an option to support you in return for your efforts. But only do so if you know your followers well and are sure that this won’t damage your reputation. Offer a reward to encourage visitors to take the desired action. Think of something that would provide value but wouldn’t cost you money. Whitepapers, your premium articles, ebooks, free tutorials will do just fine. This strategy works best if you’re paid for leads or clicks. The more organically you present your affiliate link, the higher the chances are for you to convert your traffic into real money. Advertise and recommend only the products and services that make sense for your industry or niche. Otherwise, your affiliate links will look out of place, and you will lose credibility among your followers. Advertise and recommend only the products and services that you have personally used and appreciated. If you don’t believe in the product yourself, you will hardly make others believe in it. What’s even worse, your audience will likely sense the dishonesty and turn away from you. Focus on your blog. Not only is it your most powerful engagement tool, but it is also a versatile outlet for all kinds of content you’re ready to offer. What is more, a well-managed blog will make you visible on search engines and expose you to a broader audience. Take care of your SEO. If your blog posts or social media posts are not optimized for the keywords related to the products you’re marketing, it will be more difficult for you to reach your target audience. Diversify your marketing channels. Although in most cases you will rely on your blog, don’t forget about other online destinations you can make your content available at. Create a personal website or online community, stay active on social networks, start a YouTube channel, etc. In this way, you will expand your outreach and make sure your online presence will not be weakened if something goes wrong with one of your web resources. Build your email list. This will allow you to promote your content, and consequently products, more effectively without relying solely on your website or blog traffic. Create a powerful lead magnet on your website and encourage visitors to share their contact details. When you have their email addresses, you can reach out to them anytime you think necessary. Balance your revenues and expenses. Sometimes, organic traffic is not enough to achieve the desired results in affiliate marketing. In this case, you will have to fall back on paid advertising. Using Google AdWords and promoted posts on social media can be quite costly. This is why you have to make sure you’ve got the resources it takes to pull off the advertising campaign while ensuring that your revenues will surpass the investments. This is the only way to profit from affiliate marketing. Affiliate marketing is a way to get passive income that has stood the test of time. But is it an easy way to make money? Not at all. It requires considerable investments of time and effort, especially if you’re just about to start building your online presence and have yet to find your audience. Still, affiliate marketing is one of the most popular and effective ways to earn money online. And hopefully, this brief guide will help you become a successful affiliate when the right time comes.